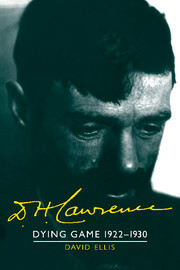 Originally published in 1998, the final volume of the Cambridge Biography of D. H. Lawrence chronicles his progress from leaving Europe in 1922 to his death in Venice in 1930. 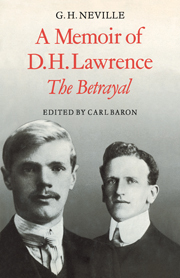 Based on much previously unfamiliar material, it describes his travels in Ceylon, Australia, the USA and Mexico in an increasingly desperate search for an ideal community. With his return to Europe in 1925, there is a detailed account of his rediscovery of painting, his battle against censorship, and the vitality with which he resisted the debilitating effects of tuberculosis. 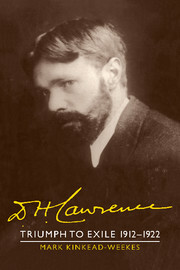 Kangaroo, The Plumed Serpent and Lady Chatterley's Lover are usually seen as the literary landmarks of these years; but this was the period in which Lawrence also wrote remarkable novellas, essays, criticism, short stories and poems. He is revealed here as a man both more complex and more humorous than is usually allowed, and exemplary in his resolute grappling with the central problems of his age. Appendix 2. 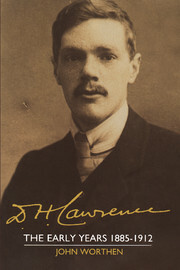 The writing life, 1922–30: poetry.